GRANT. Even though estrogen treatment has shown itself to be highly effective against both inflammation and osteoporosis in rheumatoid arthritis, it cannot be used as a long-term therapy. The risk of serious side effects such as cancer is too great. But imagine if it was possible to find a way to use the beneficial effects of estrogen without patients suffering from its negative aspects. 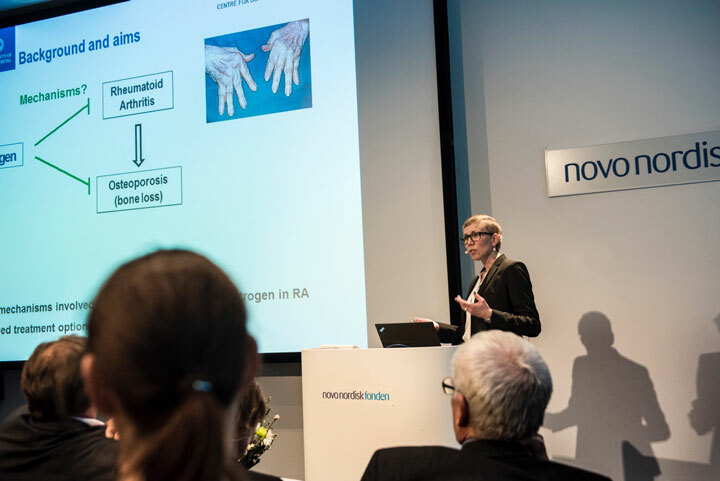 Ulrika Islander, Associate Professor in the Department of Rheumatology and Inflammation Research, has just received five years of financing from the Novo Nordisk Foundation to investigate this. Rheumatoid arthritis is an autoimmune disease caused by the body’s own immune system. It is clear that estrogen is an important factor in the development of the disease – the disease often erupts in women in connection with the onset of menopause when estrogen levels decline. 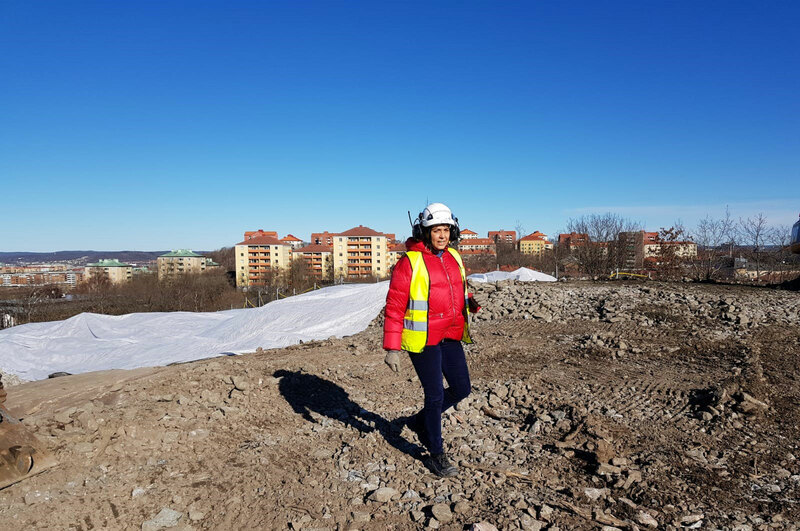 Ulrika Islander earned her Master’s Degree in Molecular Biology in Lund, but moved to Gothenburg and started as a doctoral student in in Hans Carlsten’s research group. In 2007 she defended her thesis dealing with how the expression of estrogen receptors affects the immune system. Among other things, she identified the estrogen receptor alfa as the more important of the two receptor types. She chose to do her post doc with Professor Anna Rudin, in the same department. During her time in Anna’s group, Ulrika changed her research direction and started working with a cell type in the immune system which is called Th17. This is a type of helper T-cell that produces large quantities of the protein interleukin-17 and plays a vital role in the normal protection against certain bacteria and fungi. Th17 cells are known, in addition, for their involvement in autoimmunity. “I wanted to deepen my knowledge of immunology, and especially of Th17 cells which were then a relatively newly discovered cell type. I investigated how Th17 cells responded to various types of bacterial stimuli and learned to work with in vitro systems,” says Ulrika, who now uses both cell cultures and mouse models in her research. By combining her knowledge of estrogen from her doctoral days with her work on Th17, Ulrika Islander has established her own line of research. Since many patients with rheumatoid arthritis also develop osteoporosis, Ulrika Islander is affiliated with the Centre for Bone and Arthritis Research (CBAR). Th17 cells have a clear connection to the development of osteoporosis, since these cells can also stimulate the formation of the cell type that breaks down bone in the body, so-called osteoclasts. Too many osteoclasts on a bone can lead to the bone becoming more brittle and to osteoporosis developing. Last year, Ulrika Islander’s group was able to publish, among other things, results that showed how estrogen affects the ability of Th17 cells to move. “In mice with experimental rheumatoid arthritis, which has been treated with estrogen, the Th17 cells remained in the lymph glands to a greater degree, and travelled to a lesser degree to the joints, where the cells produce their damage during rheumatoid arthritis. Is it perhaps possible that estrogen protects against rheumatoid arthritis by preventing Th17 cells from migrating into the joints?” Ulrika Islander wonders. 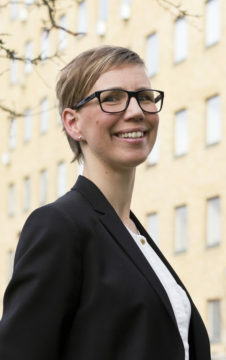 The principal author of the article was Ulrika’s doctoral student Annica Andersson, who will defend her thesis, Estrogens and interleukin-17 in arthritis and associated osteoporosis, on 9 December this year. 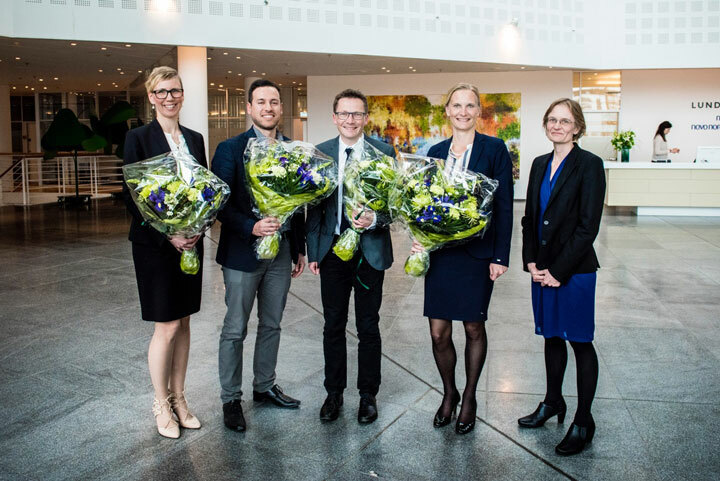 Ulrika Islander and another two laureates as well as a representative from the Research Committee in connection with the ceremony on Thursday in Copenhagen. Photo: Jesper Ludvigsen. Ulrika has put some demanding years behind her – several family members suffered serious illnesses, which meant that she needed to be home from work part time for extended periods. These illnesses also put an end to her plans to do an international post doc. 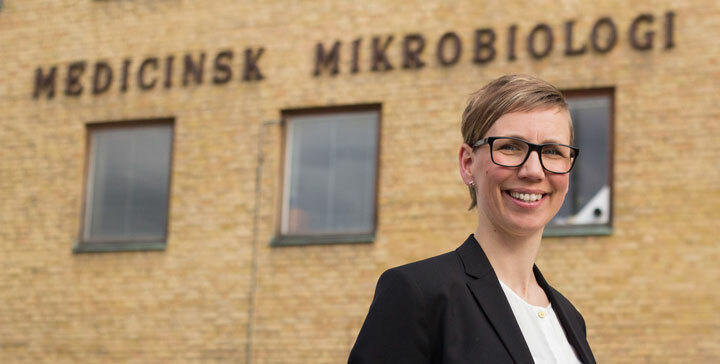 Now that the family is fully recovered, Ulrika is receiving a well-deserved kick start with the Novo Nordisk Foundation’s major Excellence Grant for Young Researchers that will give her a total of SEK 6 million over the next five years. The grant from the Novo Nordisk Foundation is the first truly major grant that Ulrika Islander has been awarded in an international competition. Her independence, and her ability to pursue her own line of research, became clear last year when she became an Associate Professor of Immunology, the first of her own doctoral students defended her thesis, and fully seven articles were published in different journals with her as the last-named author. She is now planning to recruit a post doc student, and also hopes to be able to employ a new doctoral student with the help of faculty funding. 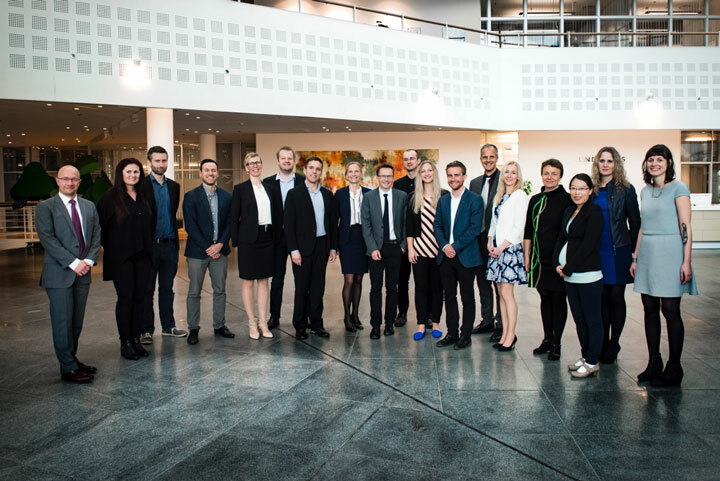 Ulrika Islander received the grant at a ceremony at the Novo Nordisk Foundation in Copenhagen on 21 April, where she also gave a short presentation on her research. These photos were taken by photographer Jesper Ludvigsen at the Novo Nordisk award celebration.